Declarative Development for Platform App Builders is ideal to improve your knowledge in app deployment, automation tools, security and user interface customization. Over five days of guided scenarios and discussions, you will discover master Salesforce’s suite of click-not-code tools for developing valuable apps and functionalities. This course is Ideal for administrators, programmers, and point-and-click developers who want to understand the declarative development tools available on the platform. At least six months building custom elements in Salesforce, such as page layouts, fields, workflow, and Process Builder. 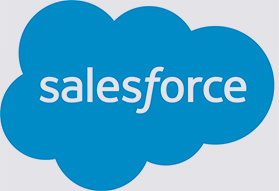 This Training prepares you for the Salesforce Certified Platform App Builder Certification Exam.